Europe Regional Network addresses the Energy and Environment Ministers on the EU’s 2030 Climate and Energy Framework. The Europe Regional Network of WorldGBC has today written to Energy and Environment Ministers outlining the need for a coherent set of legally binding targets within the EU’s 2030 Climate and Energy Framework. The letter from the Network notes that three targets for 2030 are needed, for energy efficiency, greenhouse gas reductions and member state renewable quotas, alongside a sector energy efficiency target for buildings. A number of EU countries are currently pushing for a single greenhouse gas target to replace the current ’20-20-20’ targets within the EU’s 2020 framework, though the European Parliament has supported a three target approach. Green Building Councils are not-for-profit, member-based organisations that are driving the transformation of buildings, communities and users’ behaviour towards sustainability. 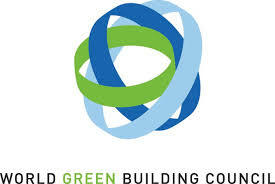 The World Green Building Council is a coalition of over 100 national Green Building Councils around the world, making it the largest international organisation influencing the Green Building marketplace. Our Europe Regional Network consists of over 30 national Green Building Councils and works in collaboration with around 4,500 member companies across Europe, which represent the full breadth of stakeholders in the buildings industry. A crucial part of Green Building is bringing the whole value chain in our industry together to provide better solutions, and this is exactly what we are doing through our members. Romania Green Building Council (RoGBC) and Târgul Național Imobiliar (TNI) announce a partnership to develop a Green Home Pavilion to educate home buyers on the benefits of energy efficient and environmentally responsible homes. 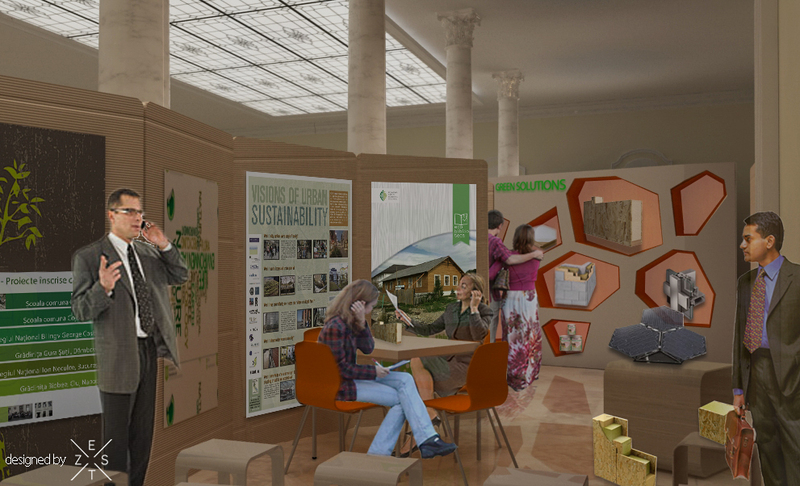 Green Home Pavilion will be a dedicated space within the TNI fair in Bucharest and provide presentations and exhibits on green technologies, traditional building solutions and ideas, and free consultations for saving money with a healthier and greener lifestyle. 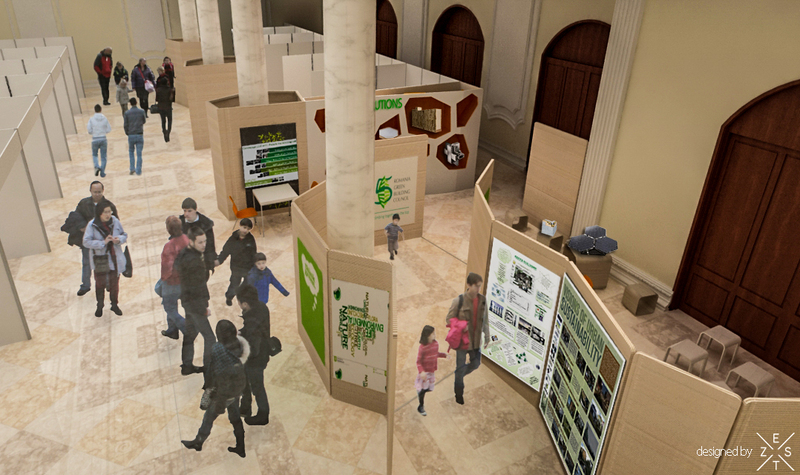 The organizers offer an aisle of 90 sqm of the exhibition for green residential projects, which will enable the pavilion to become a significant sector within the fair. These booths are offered to RoGBC members for a special discount. The 20 sqm of the RoGBC booth will be used as display area for green building systems, a product from each category. This exhibit will play the role of a ‘technical museum’ where companies can showcase their products in simulation of a built environment. The RoGBC booth will also host the presentation and education area, whith thematic presentations on the different benefits of a green home. We thank our members ZEST Collective for pavilion concept and design.